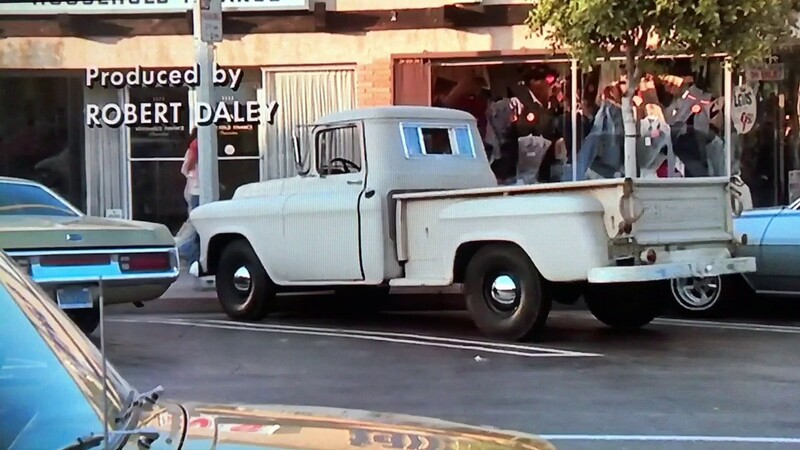 Ok, so I decided to see if I could create Philo Beddoe's pickup from the movie "Every Which Way But Loose". 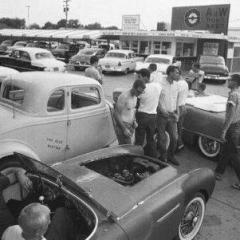 I knew from memory it was a tri five Chevy. 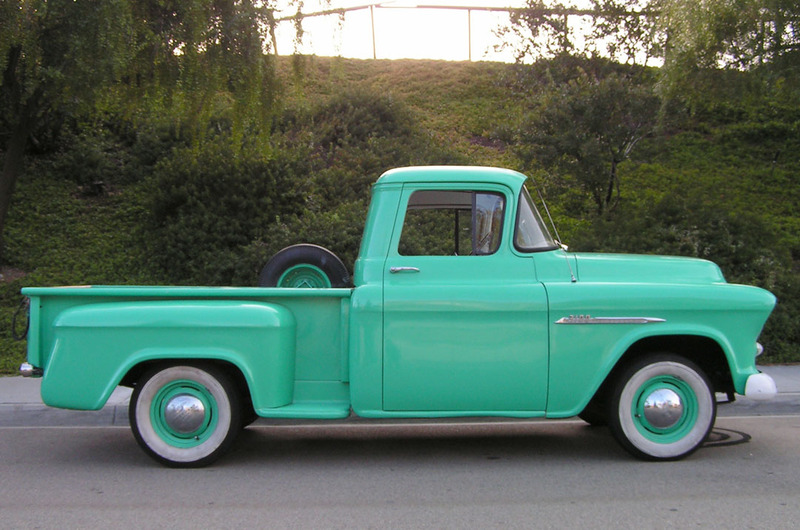 After a quick search on the internet, I discovered that it was a 55 Chevy step side 3204. The model kit I am using is a Chevy model 3104 with a 114 inch wheelbase (short box). 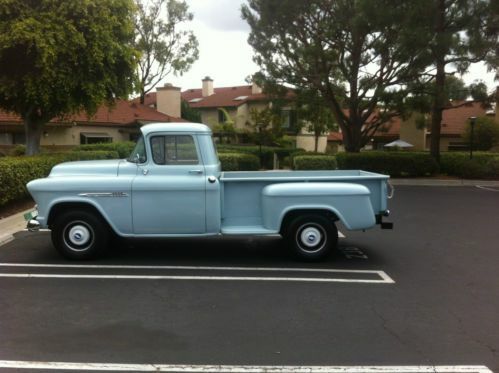 The build requires a stepside 3204 which has a 123.25 inch wheelbase. 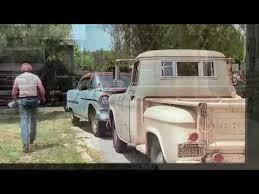 To do this I will use the amt 55 Chevy Stepside Street Machine for the majority of the build. I will use an old busted up Chevy Cheyenne stepside pickup for the longer 90 inch bed required. I will have to cut it down a bit but the floor and sides will work great for my needs. First Thing I did was measured out what the wheelbase should be (114 inches then converted that to 1/25 scale and marked my tape. I put together the bare essentials for the front and rear suspensions and checked it. It was surprisingly close! I rocked the front axle a little towards the front to try and center the front wheels a little better in the wheel well. I then marked out the 123.25 inch wheel base and cut the frame to extend it. I got the frame back together and will begin the clean up process (Filler etc.) before I start on the bed mods. I am not looking forward to filling in that big back window! Fun movie, interesting to see where this will go. Filling in the back window is easy. Use the kit glass to fill in the hole. Either cut the small window out of the kit glass, or mask it off before you putty / paint. I did one and cut the window out, and used clear plastic sheet to make the small window. Thanks for the tip, I never thought of using the glass. Its seems so obvious now after you enlightened me! I will have to cut it out, it needs to be a slider. Update. I started on the bed mods. I cut the front ends off the kits bed sides and used a thick "for sale" sign for the material needed to extend the box. I originally was going to use the other kit mentioned but opted for the 55's kit bed instead (wanted to save the old long step bed for something else). After some filler and sanding I primed the sides and assembled the box. Next was to build the extended steps from scratch using the same sign for material. To reproduce the treads on the steps, I quick took some clay and flattened it out then took the stairs from my Coors Nascar semi trailer and pressed one tier into the clay and poured some resin to cast the bumped treads and cut to fit. I filled in the back window using Tom's advice (Thanks Tom!) which worked excellent except the filler I used isn't working very well. I think its too old. I will give it some more time and try to sand it better (it keeps clumping and rolling and not setting up). I also corrected the door glass for each side but still need to put the wing window frames back in. I set up a quick mock up to see if I am on track. The baby moons won't be the ones I will use but similar and I will paint the wheels black while leaving the cap chrome. Hope you enjoy! Started on the engine...began with the dark base coat, followed with lighter brown tones and the orange then weathered it before adding some details. Nice work on the weathering!! Another update for those few watching! I appreciate your comments. I reworked the throttle spring and finished the engine. I weathered the chassis. I mixed up some paint and gave the body a base coat. I started on the wheels and tires and put together a quick mock up to check progress. I included a reference pic also. Thanks for looking! Another update...Built the rear sliding window and rear bumper, painted and weathered the bumpers. I shot the body again with a little darker color and mildly weathered it. Here is yet another mockup of the progress so far. Thanks for commenting and any input! Yes the extension is in front of the wheels and a little more than a 1/4 inch. 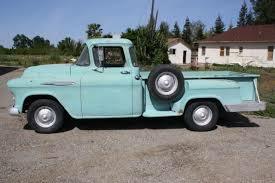 I researched a little and Chevy had 3 different step side boxes in 55, the short box 114 inch wheel base, the "medium" truck with 123.25 wheelbase, and the long bed with a longer bed both in front and behind the wheels ( i believe 135 wheelbase but not sure on that). Digging this... Really nice job! Excellent work! Very faithful reproduction! I like this project! Nice work!! thanks everybody! I will be posting more soon! I just realized I have posted a lot of pics for this........too many maybe????? Last update before going to under glass section...finished the interior, got the engine all nestled in place, glass installed, grill, headlights etc....getting close. To do list is toolbox, bed chains, taillights, mirrors, license plates, some detail painting, bmf the door handles, and build an antenna. Thanks everybody for your comments and taking a look. Very nicely done. Your weathering is spot on looking very realistic and to scale. Thanks for sharing. Location:Lost in an Idaho canyon. Nope. Unless you're posting every time you glue on a part, you'll get no complaints from us. A terrific model. Very authentic and well done. Now the hard part is finding a 1/25 scale orangutan. Clyde approved lol! nice build bud.